Philip Martin's is a PhD student at the Centre for Ecology and Hydrology. 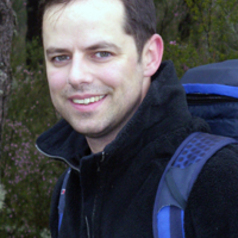 His research focuses on the effects of biodiversity change and its drivers on ecosystem functioning and services. Philip's most recent work has investigated how non-native plant invasion might affect ecosystem function. Though previous research has attempted to identify the traits that determine what makes a species a successful invader, little has been done to explain the impacts of invasives once they become established. In this project Philip is investigating whether species traits can be used to predict the impact of non-native plants on ecosystem functioning. Future work will investigate the potential roles of species extinction and declines, habitat connectivity and succession on governing ecosystem functioning.